This Japan Airlines Boeing Dreamliner had to abort takeoff from Boston on Tuesday after the pilot of another plane spotted a fuel leak. U.S. and company officials have announced a probe of the design, manufacture and assembly of the Boeing 787 Dreamliner in the wake of a series of problems that have dogged the jet in recent days. Transportation Secretary Ray LaHood, Federal Aviation Administrator Michael Huerta and Ray Conner, the head of Boeing (BA)'s commercial airplanes unit, appeared at a news conference in Washington on Friday to discuss the plans for the investigation. Both LaHood and Huerta said that even though they are starting the probe, they are confident in the plane's safety. LaHood said he personally would be comfortable flying on the Dreamliner. "We are confident about the safety of this aircraft, but we're concerned about these incidents," said Huerta at the news conference. He said the probe would focus on the aircraft's electrical components and how the electrical system interacts with mechanical components. The Dreamliner uses electrical systems instead of the hydraulics used in other commercial aircraft. Conner said Boeing is also convinced about the aircraft's safety, and that the airlines that have bought the plane are also confident in its safety. "These planes are safe," he said. "We welcome any opportunity to further assure people outside the industry." The latest problems were revealed Friday, when oil was discovered leaking from a generator of an engine of an All Nippon Airways Dreamliner at an airport in southern Japan, and a crack appeared in a cockpit window of another All Nippon plane en route from Tokyo to a city in western Japan, according to an All Nippon spokesperson. This caps a week of problems that began Monday when a maintenance worker discovered an electrical fire aboard an empty Japan Airlines 787 scheduled for departure from Logan International Airport in Boston. 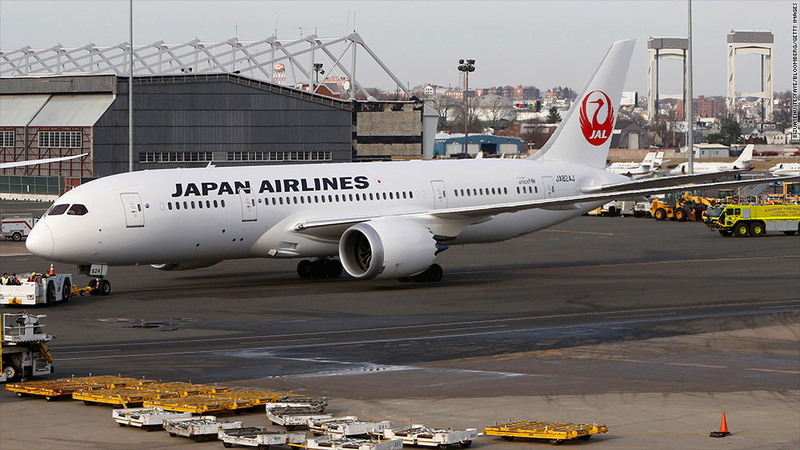 The next day, a Japan Airlines flight bound for Tokyo aborted takeoff from Boston after a pilot on another airplane spotted the 787 leaking fuel. On Wednesday, an All Nippon Dreamliner flight was canceled after the crew received an error message related to the plane's braking system. United Airlines, the only U.S. carrier to have taken delivery of a Dreamliner so far, issued a statement Friday saying it is confident in the plane's safety and Boeing's ability to resolve the issues. But despite the prestige of the innovative design and the sales success for the aircraft, it has been dogged by repeated production problems. 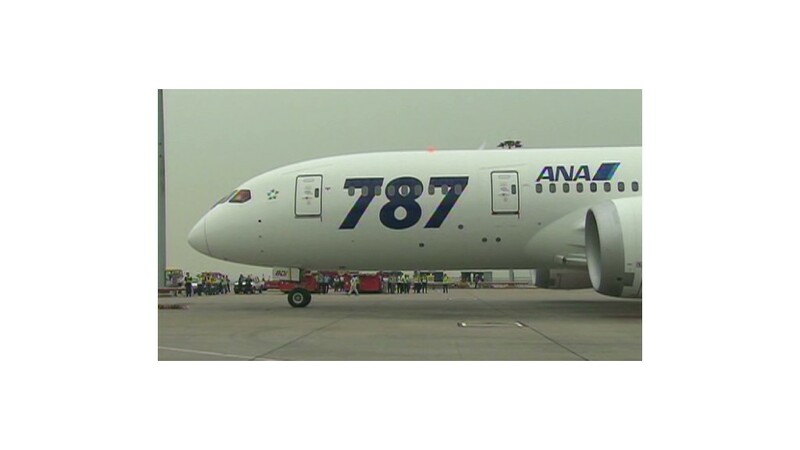 The first Dreamliner was put into service by All Nippon in October 2011. But that flight was more than three years behind the aircraft maker's original delivery schedule. Shares of Boeing fell 2% in early trading Friday on news of the new problem and the probe. Carter Leake, an aerospace analyst with BB&T Capital Markets, cut his rating on Boeing stock to a "hold" from a "buy" Friday on news of the probe, even though he believes some of the problems reported this week are normal and relatively minor for a new aircraft. "Boeing is correct that this is no different from any other airplane," he said. But the attention these problems are getting from the media and regulators are a cause for concern for the company. "You'd rather not have the FAA rooting around on this," Leake said. Still, he said the probe could end up being a positive for Boeing in the long run if it gives Boeing and the Dreamliner a clean bill of health. "If Boeing gets through this fine, they're in a better position," he said. Leake said part of the problem for Boeing in this probe is that it outsourced more of the manufacturing process for the Dreamliner to suppliers than it has for its other aircraft. "Boeing doesn't know what it doesn't know," he said. But Conner said several times during the press conference that Boeing is confident that the outsourcing process is not responsible for any of the recent problems. John Goglia, a former aircraft mechanic who was also a member of the National Transportation Safety Board, told CNN he also believes the plane is safe and would have no problems flying one himself. "Every single airplane that I ever worked on that was brand new had tons of problems almost all of which were minor in nature," he said. But he said the problems are numerous enough to raise some concerns. "These events don't seem to be repeating -- there's a lot of them -- but they appear to be quality control more than they are design," he said.